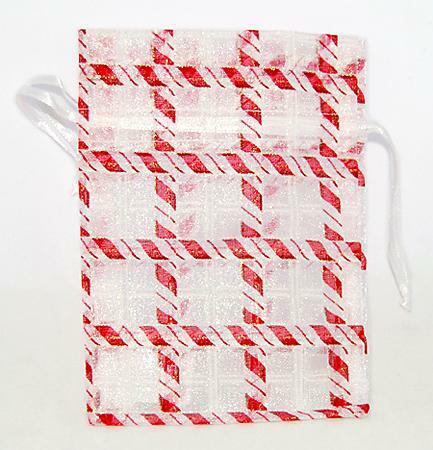 Wonderful Red and White Candy Cane style Gift Pouch with metallic thread woven in for a glitter effect. and Necklaces. See our other fun gift bags.